Henry Ramos does not have any MLB stats for the season. Draft: 2010, Boston Red Sox, 5th rd. January 24, 2019 San Francisco Giants signed free agent OF Henry Ramos to a minor league contract and invited him to spring training. 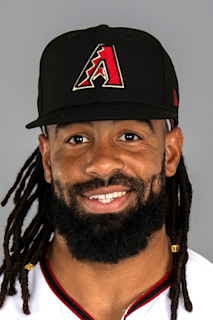 January 24, 2019 OF Henry Ramos assigned to Sacramento River Cats. November 14, 2018 OF Henry Ramos assigned to Indios de Mayaguez. November 2, 2018 CF Henry Ramos elected free agency. November 1, 2018 Tomateros de Culiacan placed CF Henry Ramos on the reserve list. October 9, 2018 CF Henry Ramos assigned to Tomateros de Culiacan. August 31, 2018 Oklahoma City Dodgers activated CF Henry Ramos from the 7-day disabled list. August 18, 2018 Oklahoma City Dodgers placed CF Henry Ramos on the 7-day disabled list. January 30, 2018 Los Angeles Dodgers invited non-roster RF Henry Ramos to spring training. October 9, 2017 RF Henry Ramos assigned to Leones del Caracas. July 31, 2017 CF Henry Ramos assigned to Oklahoma City Dodgers from Tulsa Drillers. June 20, 2017 Tulsa Drillers activated OF Henry Ramos from the 7-day disabled list. June 8, 2017 Tulsa Drillers placed OF Henry Ramos on the 7-day disabled list. June 1, 2017 OF Henry Ramos assigned to Tulsa Drillers from Oklahoma City Dodgers. April 5, 2017 OF Henry Ramos assigned to Oklahoma City Dodgers. January 27, 2017 OF Henry Ramos assigned to Puerto Rico. January 12, 2017 OF Henry Ramos assigned to Criollos de Caguas from Indios de Mayaguez. November 21, 2016 Los Angeles Dodgers signed free agent OF Henry Ramos to a minor league contract and invited him to spring training. November 7, 2016 CF Henry Ramos elected free agency. October 28, 2016 OF Henry Ramos assigned to Indios de Mayaguez. September 26, 2016 Portland Sea Dogs activated CF Henry Ramos from the 7-day disabled list. August 29, 2016 Portland Sea Dogs placed CF Henry Ramos on the 7-day disabled list. August 19, 2016 CF Henry Ramos assigned to Portland Sea Dogs from Pawtucket Red Sox. June 6, 2016 RF Henry Ramos assigned to Pawtucket Red Sox from Portland Sea Dogs. April 25, 2016 Portland Sea Dogs activated RF Henry Ramos from the 7-day disabled list. April 17, 2016 Portland Sea Dogs placed RF Henry Ramos on the 7-day disabled list. February 29, 2016 OF Henry Ramos assigned to Boston Red Sox. January 30, 2016 OF Henry Ramos assigned to Puerto Rico. October 30, 2015 OF Henry Ramos assigned to Criollos de Caguas. October 30, 2015 Criollos de Caguas placed OF Henry Ramos on the reserve list. September 28, 2015 Portland Sea Dogs activated RF Henry Ramos from the 7-day disabled list. August 22, 2015 Portland Sea Dogs placed RF Henry Ramos on the 7-day disabled list. July 8, 2015 Portland Sea Dogs activated RF Henry Ramos from the 7-day disabled list. July 4, 2015 Portland Sea Dogs sent OF Henry Ramos on a rehab assignment to Lowell Spinners. June 22, 2015 Portland Sea Dogs sent OF Henry Ramos on a rehab assignment to GCL Red Sox. April 19, 2015 Portland Sea Dogs placed RF Henry Ramos on the 7-day disabled list retroactive to April 16, 2015. March 3, 2015 OF Henry Ramos assigned to Boston Red Sox. October 24, 2014 OF Henry Ramos assigned to Criollos de Caguas. October 24, 2014 Criollos de Caguas activated OF Henry Ramos. September 19, 2014 Portland Sea Dogs activated RF Henry Ramos from the 7-day disabled list. May 29, 2014 Portland Sea Dogs placed RF Henry Ramos on the 7-day disabled list. April 1, 2014 OF Henry Ramos assigned to Portland Sea Dogs from Salem Red Sox. February 27, 2014 OF Henry Ramos assigned to Boston Red Sox. October 30, 2013 OF Henry Ramos assigned to Leones de Ponce. April 2, 2013 OF Henry Ramos assigned to Salem Red Sox from Greenville Drive. March 5, 2013 OF Henry Ramos assigned to Boston Red Sox. January 2, 2013 OF Henry Ramos transferred to Criollos de Caguas from Leones de Ponce. May 21, 2011 Henry Ramos assigned to Greenville Drive from Lowell Spinners. October 22, 2010 Henry Ramos assigned to Leones de Ponce. August 29, 2010 Henry Ramos assigned to Lowell Spinners from GCL Red Sox. June 21, 2010 Henry Ramos assigned to GCL Red Sox from Boston Red Sox. June 20, 2010 Boston Red Sox signed OF Henry Ramos.